Mexican style decorating works in small and huge areas too! The use of color is one of the most important factors in decorating. Mexican style bears this out to the max. Whilst large expanses like the floor and furniture can be neutral colors, like earthy beige and brown, the walls and accents are very colorful and textured. 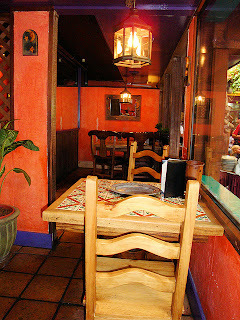 Decorating Mexican style, not only relies on color for their authenticity, the use of materials is also very important. 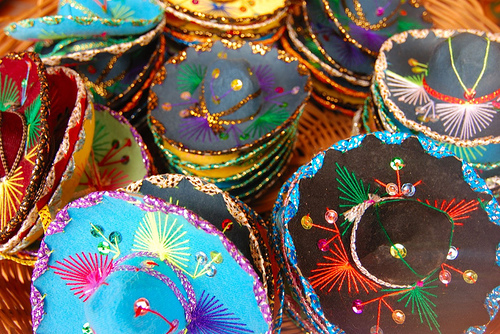 Mexicans make use of what is around them, when decorating a room, hence the use of such natural products in the home. 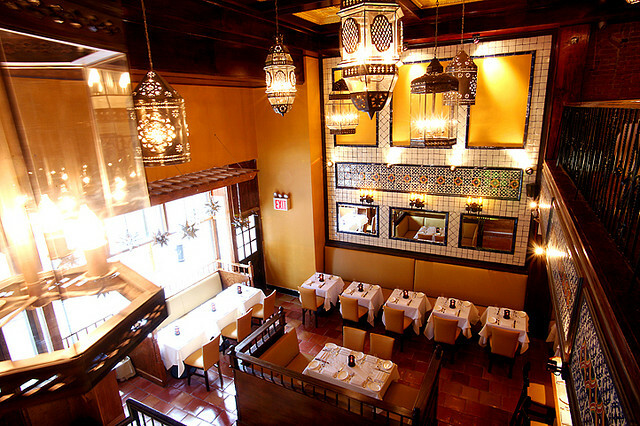 Terracotta is always seen in the Mexican home, as either tiles on the floor or walls of kitchens. 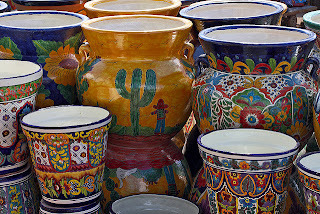 Pots are always terracotta, often left undecorated when used for plants, and can be used in any room of a Mexican home even the bathroom. Silver is a popular product in Mexico, in any form. Traditional Mexican woven baskets are made from palm leaves, and are a useful addition to any room, being used for tissue boxes, magazine racks, even waste bins. 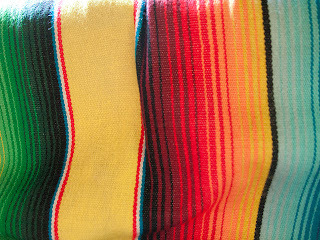 The traditional Mexican Serapes blankets are colorful, striped designs, each one unique and individually woven from cotton. Useful for a throw on the bed or couch, as a floor covering, or as a wall-hanging - not to mention as a snuggly blanket. Mexican homes often feature exposed brick in certain sections or rooms, especially the kitchen. Use a sponge to create a faux brick wall to make this work in your home. Mexican inspired rooms embrace the use of natural materials, especially when it comes to furniture. Pieces are wooden and often stained dark. Mexican decor embraces the use of large furniture, which makes it an ideal option for a modern home. 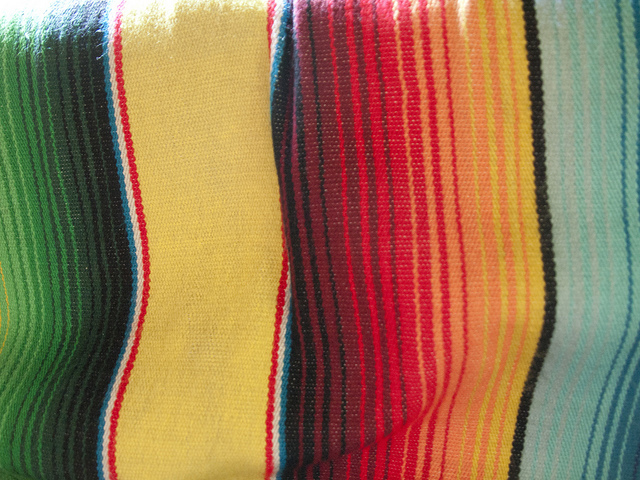 Materials for upholstery should be leather, suede, wicker, or left plain with the use of traditional Mexican blankets. You can dress up Mexican style furniture and add color, with bright cushions and placemats etc. Sombreros on the wall - as big and as colorful as you dare. Ponchos and traditional woven cotton Serapes Mexican blankets can be used as a feature on a wall, or for a multitude of soft furnishings. 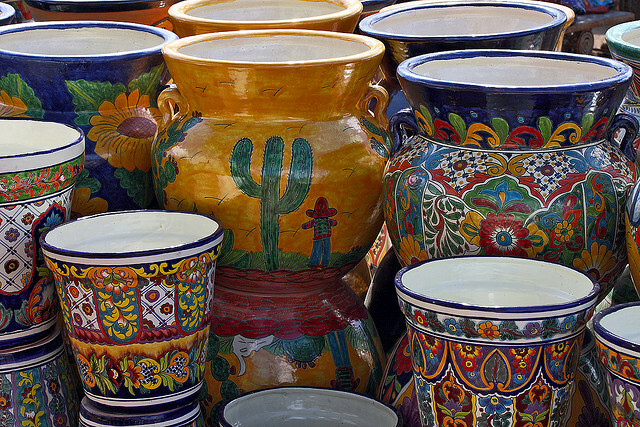 Pottery - always terracotta, but often decorated in bright colors and themes that epitomize Mexican life, like chilies. Bowl of limes - a perfect finishing touch to any Mexican dining room. Chilies - used as patterns on pots or fabrics, or the real thing dried and hung in strings on the wall. Lanterns - add authentic mood lighting. Cacti - no Mexican themed room would be complete without the use of a low maintenance cactus plant. Mirrors with detailed and colorful frames, work well adding color and a sense of space to a hallway, or any small sized room. Decorating Mexican style, can take a lot of courage, the use of such bright hues being difficult to use and get used to at first. But be brave, if you think the color is too bright on the walls, then paint over it, or sponge over it to bring the color down a notch as well as adding texture. Using the finishing touches can also be used to create the Mexican look, done in your own unique way.